We always get so excited when we find a new piece of sea glass, but what can you do with it? Making jewellery out of sea glass is such a lovely idea and can make wonderful gifts for friends and family. 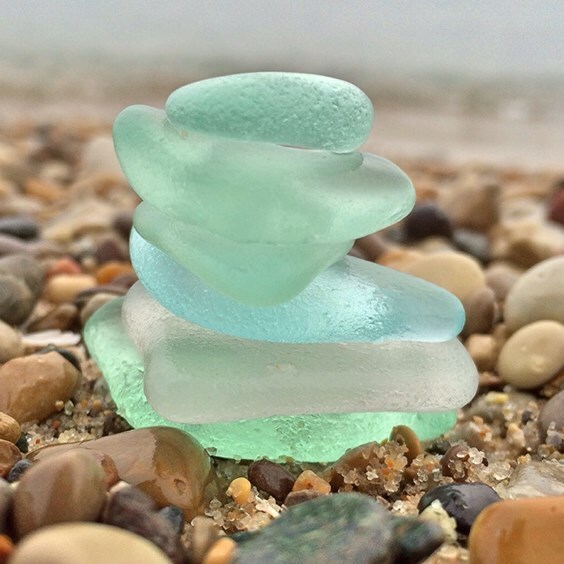 Living in Cornwall, everyone at Kernowcraft loves picking up sea glass while exploring our local beaches, we also love seeing our customers create wonderful designs and sharing them on social media. 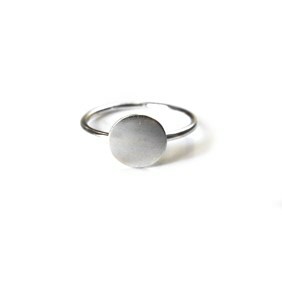 It couldn't be easier to transform your treasures into something you can cherish and wear every day and in this blog post, we share with you easy jewellery making projects for beginners. 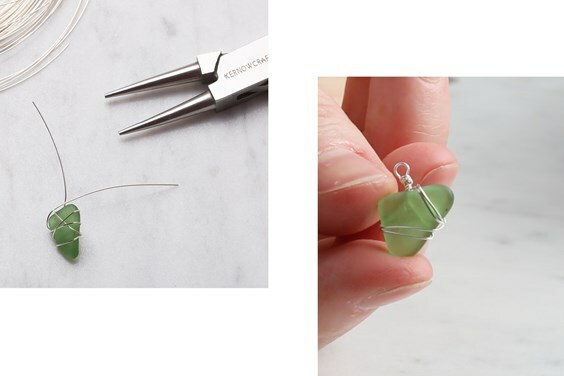 Whether you want to create a sea glass ring, earrings, necklace or bracelet, you can use these techniques to help achieve the design you wish. 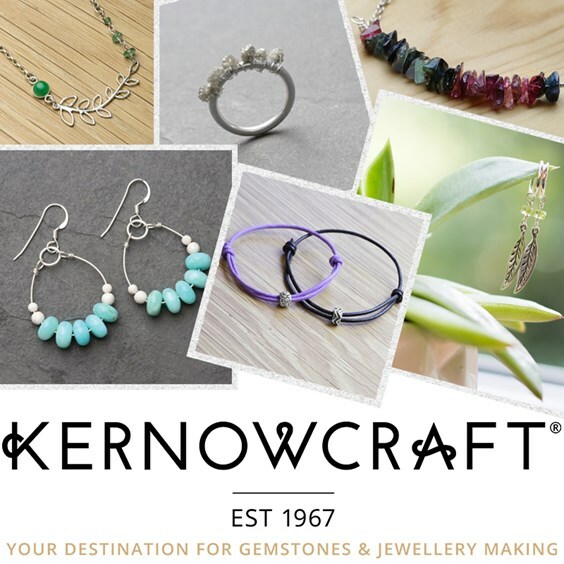 At Kernowcraft, we supply all the jewellery making supplies you need to create your own handmade designs - apart from the sea glass, that is something you'll have to hunt for yourself! If you have any questions, get in touch with our friendly team who will be able to help you get started. If you're just starting out with jewellery making, it is great to start with designs using glue. Flat plates are incredibly easy to use and are great for instant designs. Once you've found similar pieces of sea glass, simply scratch the surface of your glass with sandpaper (this will make the glue stick better). 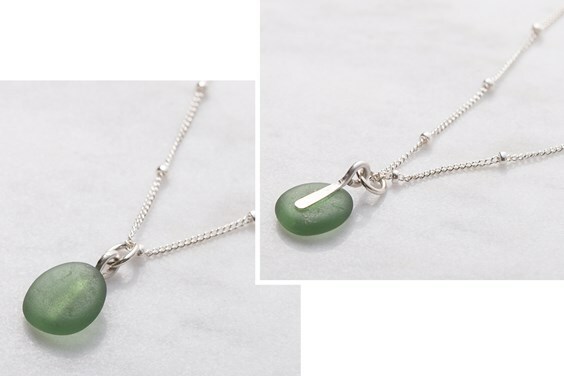 Place a little bit of glue onto the flat plate, set your sea glass and leave to firmly set before wearing. At Kernowcraft we have a range of flat plates for your jewellery designs including cufflink settings, hairgrips, pins and brooch pins. 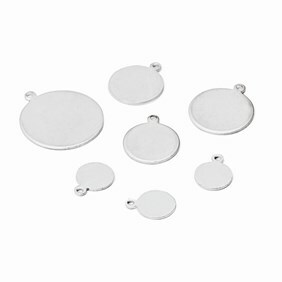 These can be used with your chosen cabochon gemstone, just make sure that the sizes match. 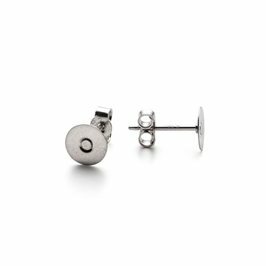 Our flat plate earrings are also available in 9ct gold and our sterling silver flat plate earstuds are available in 2.5mm, 4mm and 6mm so you can check the size of your sea glass before choosing the appropriate size earstuds. Bell caps are perfect to use with rough, tumbled polished stones or crystals which are awkwardly shaped or undrilled. They can also be used with briolettes too. 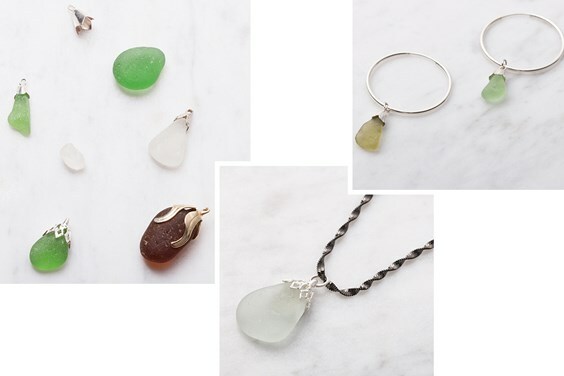 This means they will work great with small pieces of sea glass! We've made some examples, showing how easy it is to create pendants and earring drops. For the necklace, we glued the bell cap onto the sea glass, attached a jump ring and added our favourite ready to wear chain. 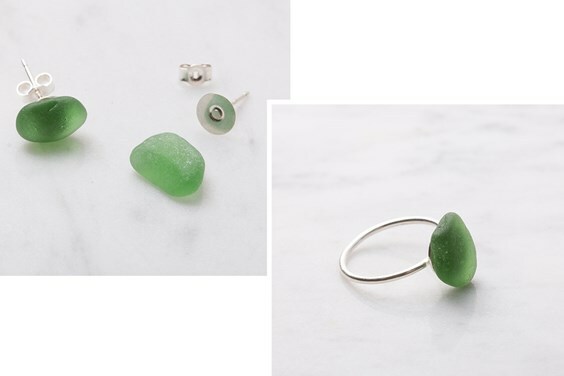 The pretty sterling silver hoop earrings are created by glueing a small bell cap to two similar sea glass pieces and sliding onto the hoops - it's that easy! At Kernowcraft, we have a whole range of bell caps to choose from including sterling silver, plated and 9ct gold. All you need to do is use Devcon Epoxy glue to stick the bell cap onto the sea glass, you could also adjust the bell cap to cover the stone using your fingers or a bezel rocker. We would recommend using sandpaper to scratch the surface of your sea glass before glueing for a secure setting. Link settings are great components to attach to bracelets or necklaces, used for cabochon and faceted stones but you can also use the right sized sea glass for great results! 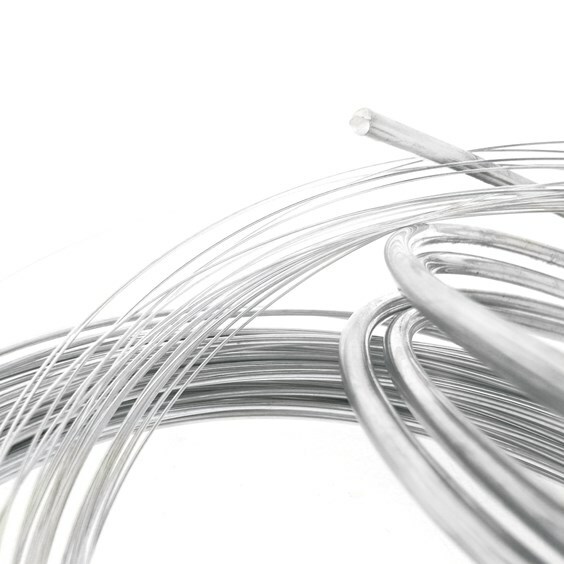 We have a range of link settings available including wraptite settings, petal edge, milled edge and gallery wire link settings. 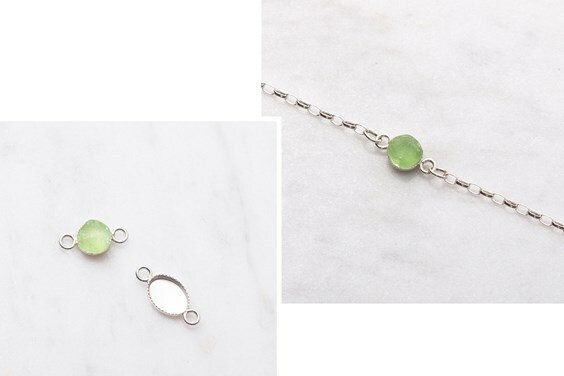 In this particular design, we've used our sterling silver milled edge link setting and simply glued a small piece of sea glass onto the setting. 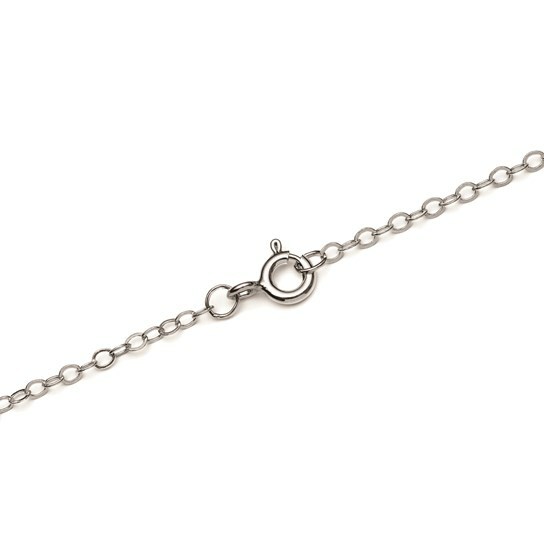 To attach the chain, simply cut a bracelet chain in half using snips, attach two jump rings on the open ends and onto the link setting. 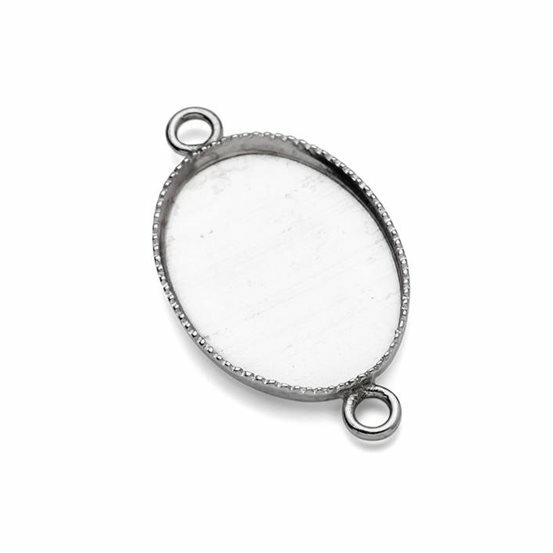 There are no real rules when it comes to wire wrapping stones other than ensuring a tight fit! It's all about experimenting and practising your wire-wrapping technique, so begin by playing around with the wire and start wrapping it around the stone. 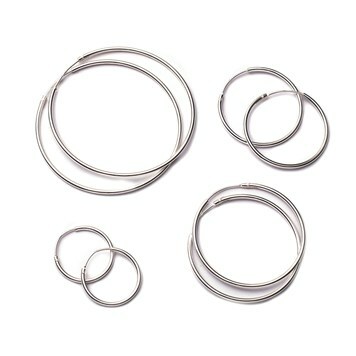 To create the loop, simply bend the wire straight up and create a loop using your round nose pliers, then wrap the remaining wire tightly around the bottom of the loop for a secure fit. This sea glass project involves a few more tools but it a great way to create a professional looking pendant which you can be proud of. 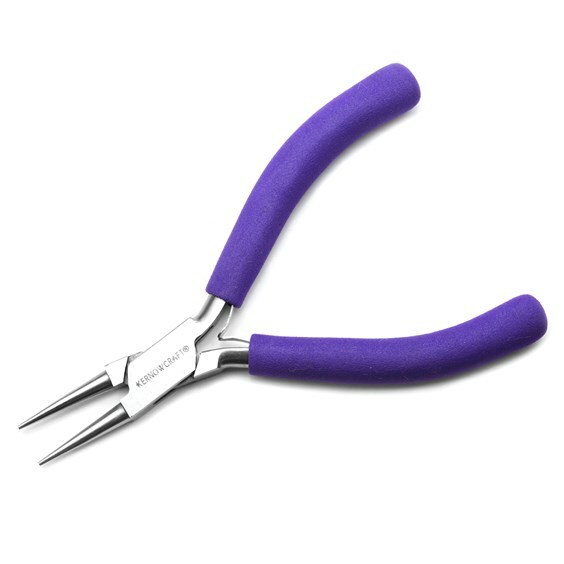 Begin by forming a loop in wire using round nose pliers and use our premium Swiss jewellers hammer to flatten the end of the wire which will form the setting for your sea glass. Scratch the surface of your sea glass using sandpaper, and place glue onto the back of the wire and sea glass, then set. 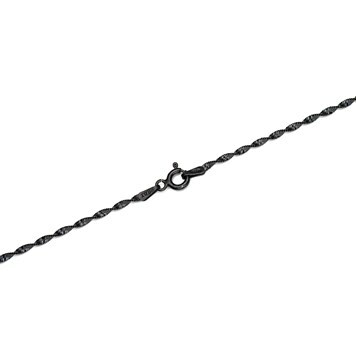 Attach a jump ring and your chosen chain and you're ready to go! 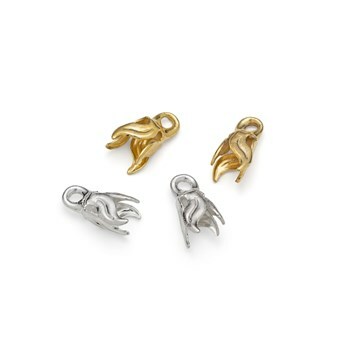 To personalise the necklace, you can also attach your favourite charm! If you're a complete beginner, you'll love our sea glass kit! 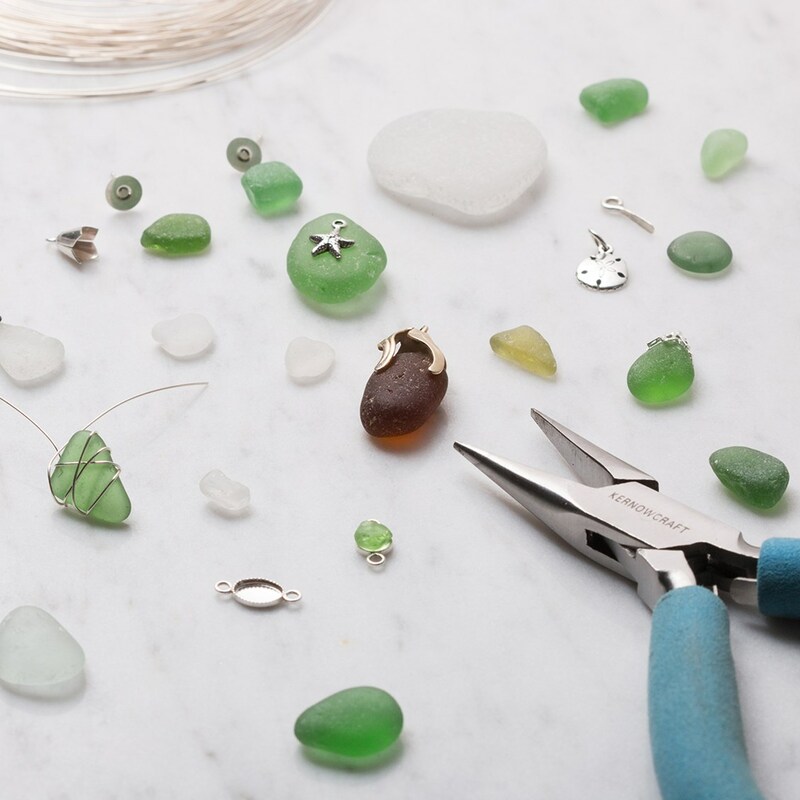 It contains everything you need to start making a couple of sea glass designs. If you need any advice, get in touch - we'd love to help. Explore our range of jewellery making kits and projects for beginners over on our Make The Look section! Each project comes with step by step instructions and a handy one-click shopping list that you can customise yourself.